The career of Michael Goldfarb, as described in today’s NYTimes, is a great example of the power of the conservative “meme factory” that sustains individuals, institutions, and ideas on the right. It’s the combination of right-wing think tanks and right-wing news media — all created since World War II as an alternative universe to the world of academia and mainstream journalism. It’s a subject I am researching and writing about for what I hope will be my next book. His career was spawned, rather, in the conservative confines of The Weekly Standard and allied organizations, namely the Project for the New American Century, which is well known for promoting the war in Iraq. He has since gone on to thrive in the influential world of outside ideological groups. Mr. Goldfarb, known as a flamethrower on both sides of the aisle, has achieved unparalleled hybrid status in the process. 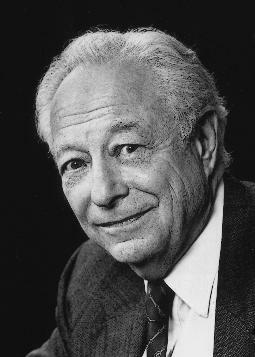 the first place were taken by Irving Kristol, neocon intellectual entrepreneur and founder of The Public Interest. His son, Bill Kristol, is the founder of The Weekly Standard, which gave Goldfarb his start. Bill Kristol is also the chair of the think tank Project for a New American Century. At age 32, Goldfarb has passed several times through the revolving door connecting the think tanks and the media.